When I left teaching, morning became the best thing and the hardest thing at the same time. Best thing? I no longer had to get up before 5 o’clock, I wasn’t up because the sun wasn’t up, I didn’t have to grab a granola bar to eat in the car and race out. It was glorious! The hardest thing? Getting into a strong morning routine! So in working from home, I needed to get into a routine. Every hour of my day matters, especially if I don’t want to be working at midnight still. Routines allow mornings to run more smoothly. Even the rough mornings will be more productive if you have a routine to fall back on. Tip #1: Have a MUST get out of bed time! I say “get out of bed” because my wake up time can look a little different depending on the day. I wake up by Bryan’s work alarm which can sometimes vary by 30 minutes or sometimes I wake up with a headache and am moving a little slow. Regardless of what time I wake up, I have a MUST get out of bed time. My feet need to be on the floor by this said time. What I like about this is it gives me some freedom in the morning to maybe press snooze once if it’s a rough morning or to get a jump on emails (or Facebook, Pinterest, etc) in bed before getting up. I love those few minutes of time I can have to myself while Bryan is in the shower. When we have kids, this time will be earlier in the morning (though hopefully not back to 5 o’clock) but I will keep the routine of making sure I am up and moving by the same time every day. Tip #2: Get Dressed and Take Care of You! I am not saying that if you work from home, you need to get dressed up. I want to make this clear. I do not agree with Eva Mendez that sweatpants ruin marriage. When I get dressed in them morning, it means I have put on a bra, brushed my hair, thrown some powder foundation on my face, brushed my teeth, and got into a clean shirt to wear with my leggings. Leggings is my Blogger Uniform! This routine takes about 5-10 minutes but it helps me feel awake. I strongly believe taking time to take care of yourself is important, so I also make sure to start the morning off with a glass of water (I like adding in Lemon Essential Oils) before I get my coffee. I have to eat breakfast and science says you should, too! 😉 The body needs to start the say off with breakfast in order to have a more energetic and productive day. So I always make sure I have something in the house to have, which can sometimes just mean a bowl of cereal, but can often mean fresh muffins! 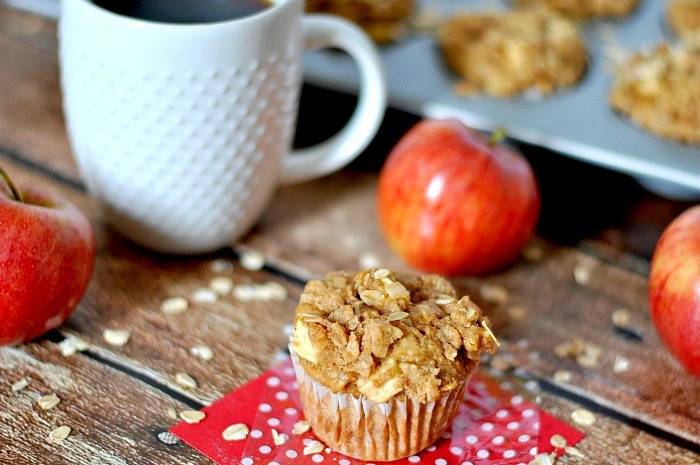 A homemade muffin can travel as easily as a granola bar or a bag of dried cereal but it takes SO MUCH BETTER! Plus – you make one batch and they can last a week or more. 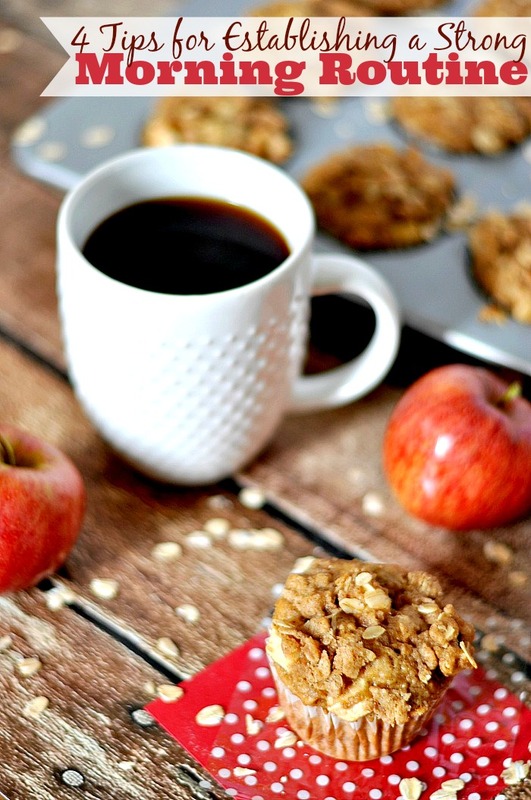 Plus, PLUS – a baked pairs so well with a yummy cup of coffee! 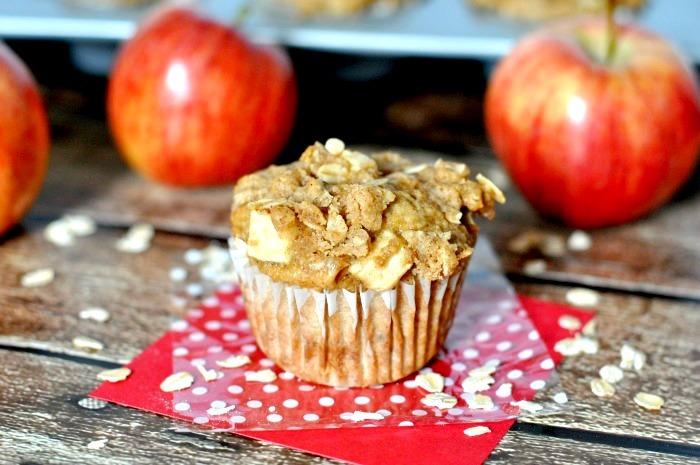 In sharing my tips, I wanted to make sure to share one of my favorite muffin recipes with you all – Dutch Apple Pie Muffins! What makes these a favorite? 1 – they are named after a dessert and taste like one, too! 2- they have real chunks of apple in them, and I am all about apple recipes. I had a whole Apple Month last year on the blog. 3 – I make them with alternatives so they are better-for-you (like yogurt instead of sour cream and apple sauce instead of oil). 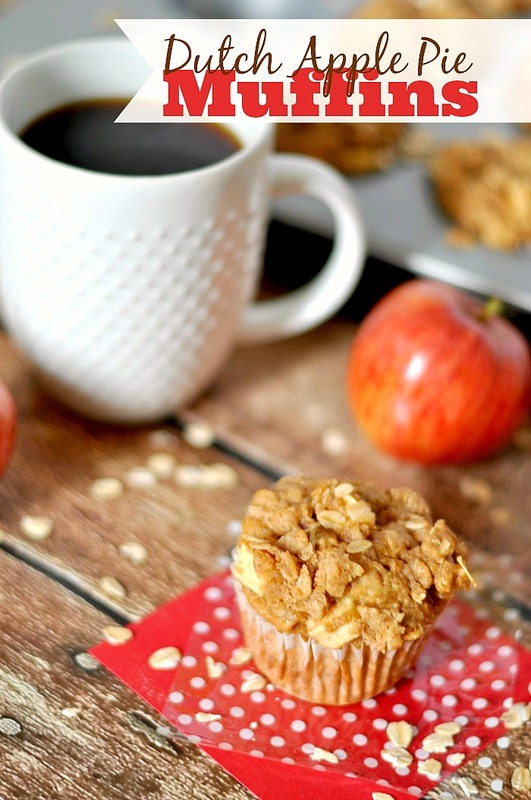 Warm and Delicious Dutch Apple Pie Muffins - They are the perfect way to start your morning with breakfast or even as a yummy afternoon snack! Prepare a 12 cup muffin pan with paper muffin cups. Make the crumb topping: Add the crumb topping ingredients in a small mixing bowl. Work the butter into the dry ingredients with a pastry blender, a fork or even your fingers until the mixture holds together in a clump if you press it together with your fingers. This can take a little bit of time. If you melt the butter, it will change the whole consistency. Just work the butter in. You should have no dry ingredients still powdery in the bowl at the end. Cover and set aside in the refrigerator until ready to use. Make the muffin batter: In a large bowl, combine flour, cinnamon, nutmeg, baking powder, baking soda, and salt. In another separate bowl, add the eggs, milk, brown sugar, applesauce, and yogurt. Whisk until well combined. Pour the wet mixture into flour mixture and stir only until combined. Do not over stir! Then, peel and dice the apples. Add ¾ of the diced apples into the batter and gently fold the apples into the batter. Scoop into prepared muffin pan until the cups are almost full. Add the remaining diced apples onto the top of the batter, gently and only slightly pressing them into the batter. Pile crumb topping on top of the apples. Bake at 425 F for 5 minutes, then immediately lower the heat to 375 F. Do NOT open the oven. Bake for an additional 15-18 minutes or until toothpick inserted in center comes out fairly clean. Over baking will result in dry muffins. Allow to cool in pan for 10 minutes, then carefully remove from pan onto a rack for cooling. Tip #3: Take Some Time for Yourself! I firmly believe that everyone needs some time in the morning to put their head on straight. Clear the cobwebs or sleep dust away, review what needs to be done today, reflect on something happy, etc. Too many people brush aside “Me Time” but it is essential for being productive. What does this look like for me? Every morning I sit down with my breakfast and cup of coffee and I start my looking at my Life Planner. 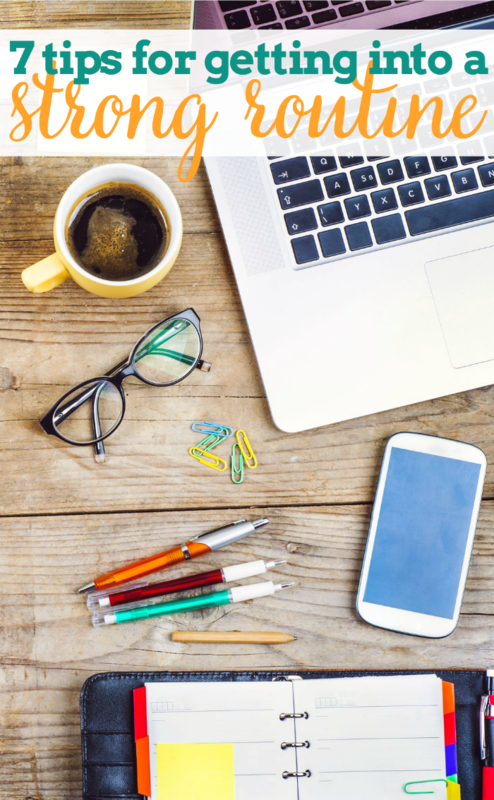 I review the schedule for the day, fill in any blanks on my to-do list or projects that needs to be added, and then I take a look at the week ahead, too. I like to constantly have my eye on the horizon, too, because it helps me assess if I need to move something up earlier. Taking this time has made me more productive. I don’t sit down in front of the computer any more and think – what do I need to do? Because inevitably that led to unnecessary Facebook time as I tried to remember what needed to be done. 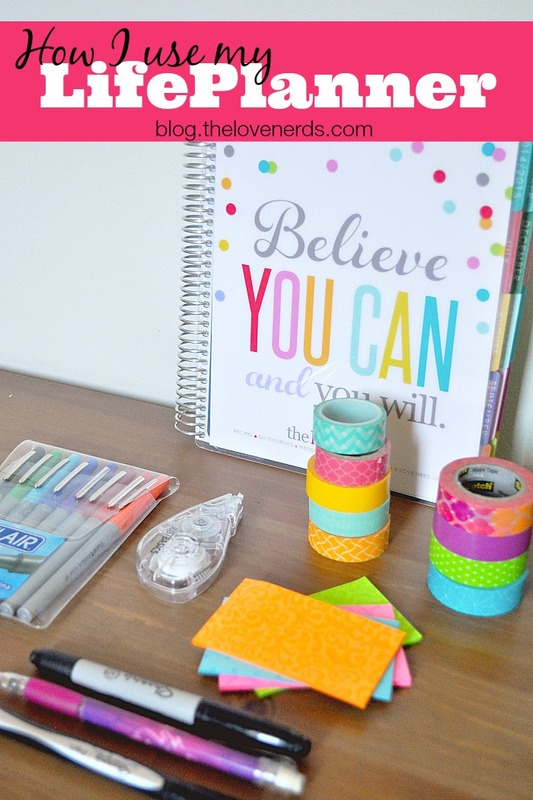 I also use this time to brainstorm or browse a magazine and sometimes Pinterest. Before I get into full on work mode and let the tasks drive me through the day, I let my brain wonder and be creative. Or sometimes, I pull out my book after the planner review and let myself be swept away for 10 pages or even a chapter. 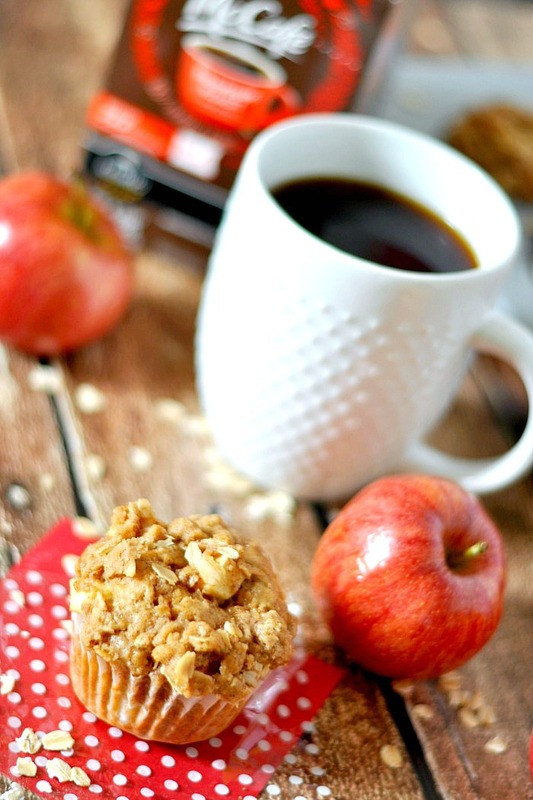 Whether me time is 5 minutes or 20 minutes, I always feel better when I take the time to enjoy my coffee and my muffin and let myself relax and prepare. Try it if you haven’t. I truly think you will be surprised at how much better you feel. So make sure to head over to Walmart and pick up from McCafé coffee! 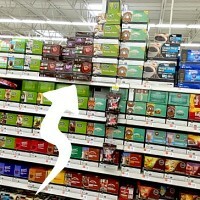 You will find it in the coffee aisle! Now, I’ve shared my tips for making a stronger morning routine, which means more productivity in the long run. But now I’d love to hear about yours! Leave a comment sharing your morning routine. Those look delicious! I’ll be making them soon! !